Charley’s Fund took Central Park by storm earlier this month! More than 320 people participated in our 2016 Race Against Time. Our half marathoners and scavenger hunters have raised $150,000 so far, and donations are still coming in. This year, we surpassed a major milestone: $1 million total raised through the annual Race Against Time! We are indebted to board member Ellen “the Hurricane” Wilner, who once again led a committed planning committee and raised the most money of any individual in the Race. See the photos. 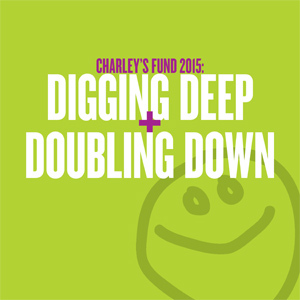 If you’re interested in hosting your own Race Against Time (or any other event), contact emily@charleysfund.org to discuss the possibilities. The holiday season often inspires extra generosity, so now is a great time to try out your fundraising chops!